Mobile’s most popular messaging service WhatsApp is now also accessible on computer and laptop. 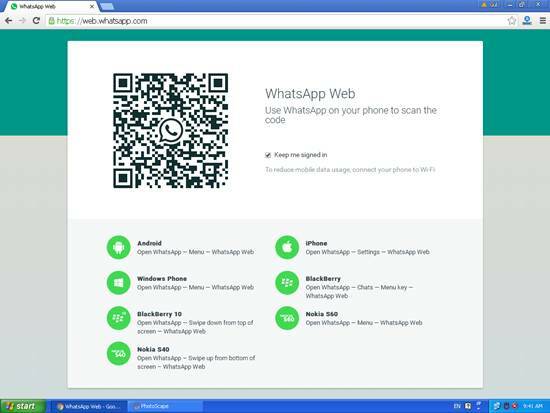 WhatsApp has recently launched WhatsApp Web users who want to use it on computers. You neither need to install any program or software on your PC, nor to register for any separate account. You can simply access the same account on two different devices. 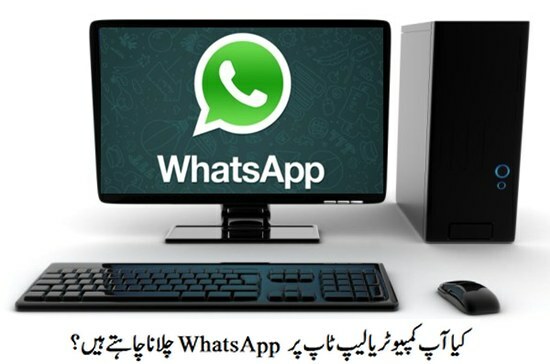 Your existing WhatsApp account along with all messages will be available on your computer. You can see, send and receive messages from your desktop browser. The messages you send and receive are fully synced between your phone and your computer. WhatsApp Web is currently available only for Android, iPhone, Windows Phone 8.0 and 8.1, Nokia S60, Nokia S40 Single SIM EVO, BlackBerry and BB10 smart phones. You can use WhatsApp on your PC or Laptop, If you have an active WhatsApp account on your phone, latest version of WhatsApp, a stable internet connection on both your and computer; and latest version of Chrome, Firefox, Opera or Safari as your web browser. Short but Very Informative YouTube Video on "How to Use Whatsapp on Computer"
Go to WhatsApp Web in the Menu. Use your mobile phone to scan the QR Code on your computer.